After recreational marijuana use became legal in Massachusetts in 2016, the expectation was that retail stores would pop up quickly within a couple of years. That hasn’t happened, as the state — and host communities — have taken a deliberately measured approach to permitting. But with early returns strong from a few shops, and towns reporting solid tax benefits and no real community disruption, the pace of openings should begin to increase — and so will the economic benefits of this new industry. If Western Mass. was full of people who thought the sky was falling when recreational marijuana was legalized, well, Mark Zatyrka thinks fewer of them are saying the same thing now. 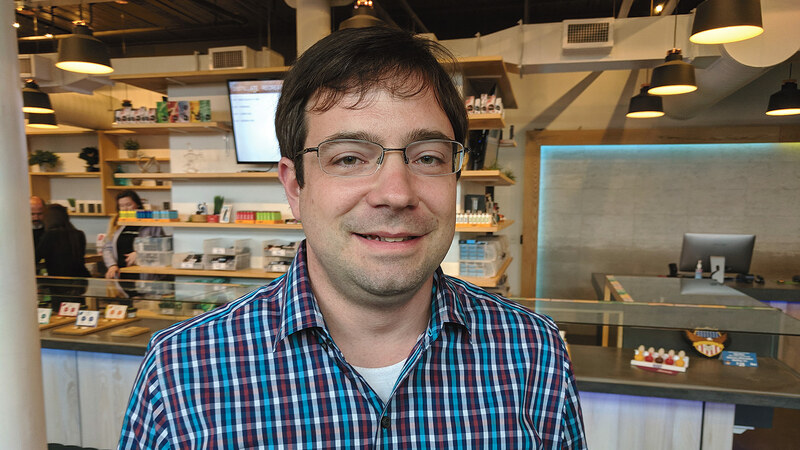 Take the location of INSA, the cannabis dispensary he owns in Easthampton, which has sold marijuana for medical purposes since February 2018, but began selling for recreational, or adult, use in December. Tucked beside Eastworks at the rear of the Keystone Mills building on Pleasant Street, he said some may have worried about INSA’s proximity to a nearby park where people hike. Perceptions — pro and con — of this new industry have undoubtedly shaped a permitting process, on both the state and local levels, that has moved more slowly than first expected when recreational use became legal in 2016. The state’s first adult-use retail shops were expected to be open last July, but instead, the first two opened in November, and the pace of new shops since then has been leisurely at best. But they’re coming. And the ones that are open are changing those worst-case perceptions. Mark Zatyrka says INSA has attracted a diverse array of customers since starting recreational sales in December. Take New England Treatment Access (NETA) in Northampton, the Bay State’s first retailer of cannabis products for recreational use. He noted that Northampton’s voters were among the most enthusiastic in their support of legal cannabis, both during the 2012 statewide vote to legalize medicinal marijuana, then for adult use in 2016. As mayor, he said, his approach has been to respect the community’s voice. “So we’ve been very open and proactive; we created zoning regulations that essentially treat this new industry like any other business, and we did not impose caps on the number of retailers like many communities did. Stories like this are why, despite the slow rollout of pot shops so far — and state tax revenue well under early projections — proponents are confident that the trends toward greater public acceptance of this industry, and tax revenues to match, will soon accelerate. As part of its new marijuana laws, Massachusetts imposes a 17% tax — a 6.25% sales tax plus a 10.75% excise tax — on cannabis businesses, while cites and towns take another 3%, plus whatever else they may choose to impose as part of their host-community agreements. In Northampton’s case, that’s an additional 3%, called a ‘community-impact fee.’ The city received two checks recently: $449,825 from the Department of Revenue representing the 3% tax rate for recreational marijuana sales in November, December, and January, and $287,506 from NETA itself, reflecting the 3% community-impact fee on recreational sales for December and January. Other towns are seeing their coffers benefit as well. Theory Wellness opened in Great Barrington in December, paying $90,000 in taxes to the town in its first month. Southern Berkshire County communities that embrace the cannabis trade are sure to benefit from the continued illegality of the drug in both Connecticut and New York, though leaders in both states have been talking about whether that should remain the case. Brandon Pollock, CEO of Theory Wellness, told the New York Post last week that about 15,000 New Yorkers have made purchases there since its Jan. 11 opening. That sort of consumer response is intriguing to towns that see this industry as a new economic driver. That’s important from a competition perspective, he said, because the application process is already time-consuming, and communities that want to make it even more difficult to move through permitting and craft a host-community agreement can tie up a project for years, while other shops in more amenable towns are opening and picking up crucial market share and customer loyalty. 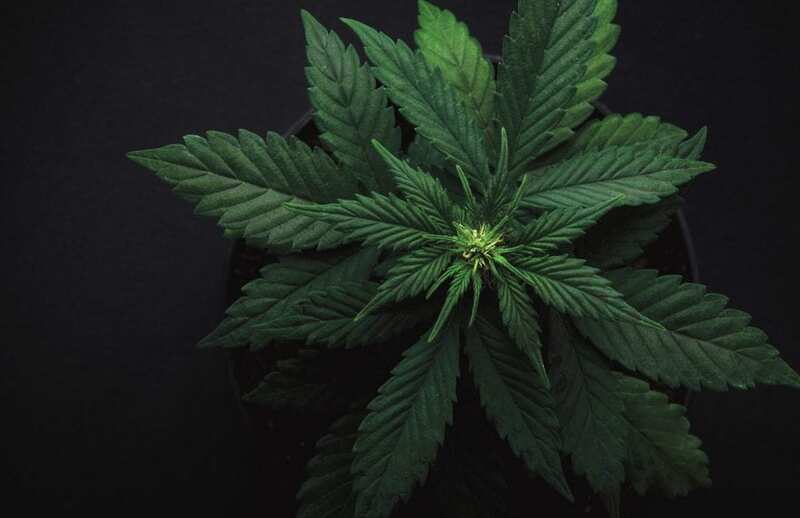 That’s certainly the goal in Northampton, which is looking at myriad applications from cannabis manufacturers, cultivators, testing labs, and retail establishments, Narcewicz noted. It welcomes them because it sees value in how NETA, which isn’t even located downtown, has impacted business. BRIGADE has certainly benefited from this new industry. The Hadley-based brand-services company has worked with INSA extensively, including the creation of the designs for all its products and marketing. With some cannabis businesses coming out with 100 or more products, it presents a unique branding challenge, she added, because the goal is not only to create a memorable look, but to help customers, many of whom have little experience with marijuana, navigate the products. The education aspect Modestow touched on is one that continues in the store, Zatyrka said. The sales associates — he prefers that title to the flip industry term ‘budtenders’ — are the same ones who have worked with medical patients for a long time, and they have the training to dig deep into the science behind the products, so they can effectively explain them. The coming months and years will see more education (and more tax revenues) as pot-shop openings pick up the pace — including Evergreen Strategies, LLC, which recently inked a host-community agreement with Belchertown to bring a facility to that town as early as this fall. The Boston Globe recently cited industry analysts who say Massachusetts has a much slower local approval process and a more complex system to navigate than other states, and the state Cannabis Control Commission has placed a premium on an adult-use regulatory structure that supports public health and public safety. The measured pace ensures that stores pass inspections, sell lab-tested products, hire vetted workers, and track their products. The work is rewarding, though, especially for someone who treated his chronic pain for more than 15 years with oxycontin, oxycodone, morphine, and methadone, and suffered side effects that drastically outweighed the benefits. He tells that story not because it’s unique, but because it’s representative of many people he comes across, with stories about how cannabis has helped them with seizures, Crohn’s disease, arthritis, and multiple sclerosis. And if legal adult use is helping to tear down the last bits of stigma around cannabis, he’s all for it. 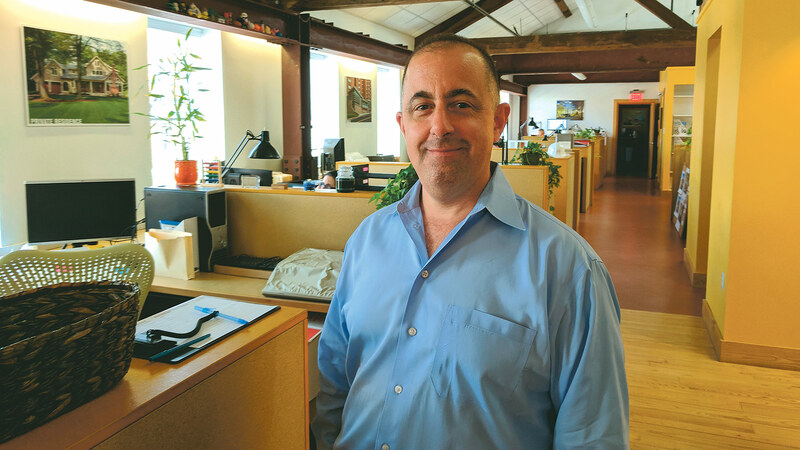 At its core, the mission of a staffing agency is to connect employers with job seekers — a task United Personnel has tackled with success for 35 years. But creating those matches doesn’t occur in a vacuum. Rather, building a healthy workforce is a region-wide effort that makes demands of employers, colleges, training programs, K-to-12 schools, and lawmakers. United Personnel President Tricia Canavan recognizes this big picture — and her firm’s role in closing the gaps. 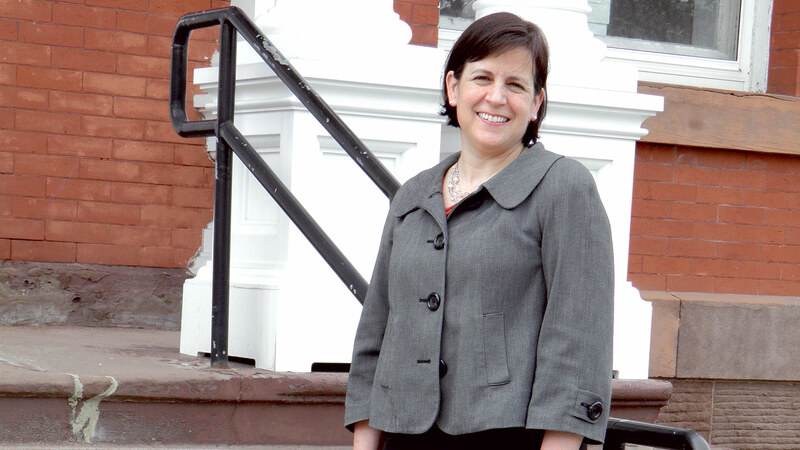 Tricia Canavan’s job is to help people get jobs, and to help companies find those people. It’s that simple — only, it’s not. 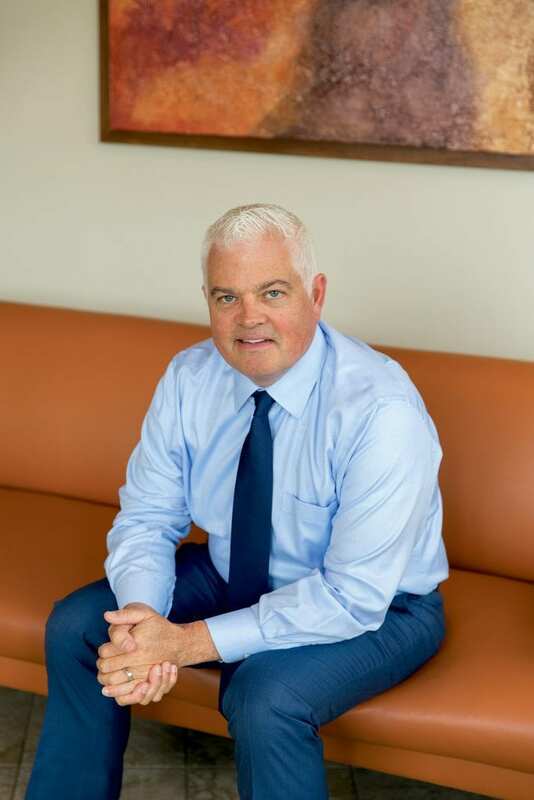 As president of United Personnel, Canavan connects job seekers to regular paychecks every day. But the challenge of doing so runs far deeper than many might assume. In fact, for many, it starts well before kindergarten. Consider, she said, that only 7% of Springfield children are considered kindergarten-ready when they enter school, and if they don’t hit reading proficiency by third grade, it sets them on a never-ending pattern of playing catchup. Beyond high school, in fact, contributing to what are commonly known in the employment world as skills gaps. Which brings her back to her daily role, one she tackles with a decidedly big-picture view. In today’s reasonably healthy economy, Canavan said, good jobs exist. She knows, because she’s got a large roster of clients that want to fill them. For this issue’s focus on employment, BusinessWest sat down with Canavan to talk about the ways her 35-year-old firm continues to close the gaps between job creators and job seekers, and the myriad ways that task is complicated by a lifetime of factors. Jay Canavan, Tricia’s father, transitioned from a career as president of Springfield Museums to launch United Personnel in 1984; his wife, Mary Ellen Scott, joined him about six months later, eventually serving as the company’s long-time president until eight years ago, when Tricia took the reins. Jay and Mary Ellen opened their first office in Hartford, specializing in professional, administrative, and finance services. A few years later, they opened a second office in Springfield, focusing on support to the light industrial sector. Today, the firm also boasts offices in Northampton, Pittsfield, Chelmsford, and New Haven. Meanwhile, its roster of specialties has grown to include manufacturing, hospitality, information technology, nonprofits, medical offices, and even a dental-services division, which has proven to be a significant growth area. Cavanan said she enjoys working in partnership with clients because it allows United to become a part of their business and operational strategy and provide real value. Whether it’s helping clients with continuous improvement, staff-retention strategies, or joint recruiting events, she said United does its best work when it’s able to take on that level of partnership. “If clients are open to this, we’re able to take an advisory and consulting role where we share with them, ‘here are some things we’re seeing in the marketplace.’ Oftentimes, it’s even current employment law,” Canavan said, noting that, just last week, United showed a client that one of its incentive programs was no longer legal due to changes in the law. Those various human-resources services are often crucial to smaller clients that may not have an in-house HR team or, at best, have one person handling everything from benefits and compliance to performance management and recruitment. 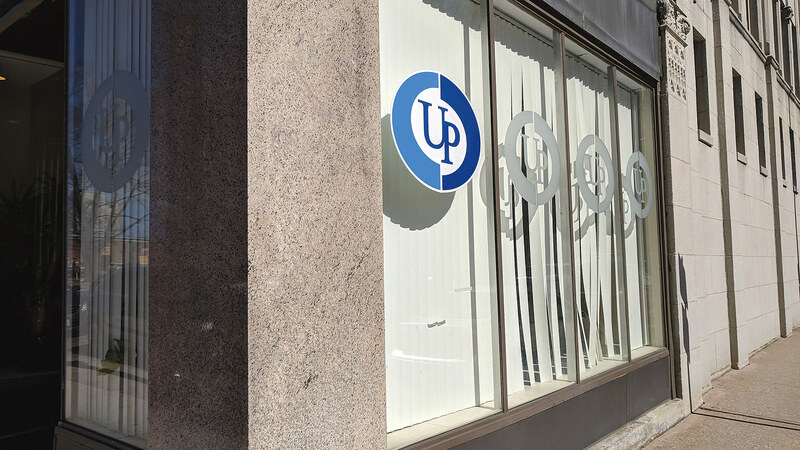 For most of its history, United Personnel has been headquartered in Springfield — currently on Bridge Street — but its reach expands far beyond this region. There are institutional barriers as well, such as the so-called ‘cliff effect’ that throws up financial disincentives to people on public benefits who want to work. She said a bill currently making its way through the state Legislature would address that scenario through a pilot program that would help low-income Springfield residents access jobs while reducing the need for public benefits. On an individual level, part of United Personnel’s mission is to dismantle as many roadblocks to employment as it can, Canavan explained. For example, employers typically prefer to hire someone with at least six months of recent, steady work without gaps. But, realizing there are reasons those gaps exist, United offers myriad short-term jobs to help people build a portfolio and references and prove they can handle something more permanent. The idea is to use every opportunity — whether a temp job or a training program — as a chance to move up to something better. And when job seekers do just that, it’s especially gratifying. United Personnel has certainly worked its way up over the past 35 years, not just in helping people find jobs and helping clients run their businesses more efficiently, but through a culture of community support. Team members are encouraged to volunteer and serve on boards, while the company itself offers financial support to numerous organizations in areas like workforce development and education, women’s leadership, community vitality, and arts and culture. One program is an endowed scholarship at the Community Foundation of Western Massachusetts for first-generation college students from area gateway cities. That said, she noted that legislative mandates from Boston continue to burden employers and make it more difficult than ever to do business in Massachusetts. Which makes it even more important for her to make clients’ lives a little easier. Charlie Blanchard says Palmer continues to make progress in its commerce centers and with green-energy projects. 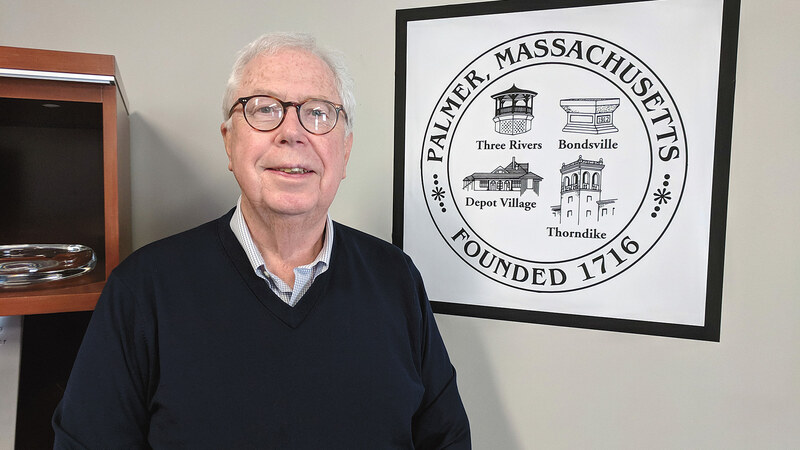 Palmer’s leaders see the town as a destination — and hope the myriad players investigating east-west passenger rail service in Massachusetts view it the same way. That’s why the Palmer Town Council recently established a citizens’ advisory committee and contracted with the UMass Center for Economic Development to study — and prepare a report on — the merits of an east-west passenger rail stop in Palmer, to be submitted to the state advisory committee currently looking into the feasibility of expanded east-west passenger service. Those efforts included a recent meeting with community members to brainstorm about the pros and cons of the entire concept of east-west rail and Palmer’s place on any proposed line. In a recent letter to state Sen. Anne Gobi, who attended the community meeting, Blanchard pointed out that Palmer is roughly central to Springfield and Worcester, and also at the center of a market that extends north to Amherst — and to institutions like UMass Amherst and Amherst College — and south to Storrs and the University of Connecticut. In short, it’s a point of connection in many directions that would benefit from expanded rail service. Furthermore, the absence of a stop in what’s nicknamed the Town of Seven Railroads would mean commuters from the Quaboag region who want to travel by train to Boston would have to drive roughly 40 minutes per day to use Springfield’s Union Station or slightly more to access Worcester. Participants at the meeting believed Palmer-area residents would be loath to do either, limiting total ridership at a time when the state would be clamoring to maximize it. In addition, “a train stop in Palmer would be a major stimulus in helping to provide quality housing for commuters at an affordable price. With the ability to commute by train, this would open up a very affordable housing market,” Blanchard wrote in his letter, adding that a stop would also stimulate the economy of a set of communities that have yet to capture the growth found to the east, while boosting Palmer’s own downtown revitalization and encouraging hospitality companies to build more lodging there. In short, it would inject energy into a town that, while it has plenty to tout in recent years, could always use more. Baystate Wing Hospital’s $17.2 million project to expand its Emergency Department was perhaps the town’s biggest development last year. Aimed at better supporting the current annual patient volume of 24,000 visits, the 17,800-square-foot space includes separate ambulance and public entryways and features 20 patient rooms, including trauma, behavioral health, and other dedicated specialty-care areas. “That opened in September, and was quite a big expansion,” Blanchard said. Meanwhile, Palmer joined the ranks of the many Western Mass. communities to welcome the burgeoning cannabis industry in Massachusetts (see story, page 6), approving its first medical-marijuana facility on Chamber Road, including a 25,000-square-foot greenhouse and 3,200 square feet of retail space. Altitude Organic Corp. will move its headquarters from Colorado to a property on Thorndike Street in Palmer as part of the development, and expects to have plants growing in an indoor facility by October. In the Three Rivers section of town, progress continues at 2032 Main St., where the South Middlesex Opportunity Council is renovating the top floor to apartments and the bottom to retail — a mixed-use plan expected to infuse new residents into the neighborhood while attracting more shoppers. Property and business owners in Three Rivers have been engaging in a grass-roots revitalization effort for years, which includes changing the perception of the area and filling vacant storefronts. At the same time, the consortium known as On the Right TRACK (Three Rivers Arts Community Knowledge) has been working for some time to build a cultural and creative economy in the village. On the culinary front in town, Stables Restaurant of Hadley recently opened a new restaurant at Burgundy Brook, on Route 181 on the north side of town. “When you go by there, you see a lot of cars and a lot of activity,” Blanchard noted. Finally, the new rail spur installed at Sherwood Lumber Yard, in the town’s industrial park — a project that has been in the works since 2013, and funded through an Industrial Rail Access Program grant — allows the business to bring in materials by train, spurring significant expansion of the operation and helping the entire industrial park by unloading without clogging up other traffic. Palmer also continues to embrace green-energy projects. In addition to 10 large-scale solar projects — producing 29.3 megawatts of electricity every year — and the installationin early 2018 of car-charging stations at Town Hall and the public library, the town has been working with Thorndike Energy and the Microgrid Institute to explore the benefits of a microgrid system that would access the hydropower and solar power generated at Thorndike Mills for emergency power. Project objectives include improved resiliency of electrical services for critical community facilities, expanded storage capacity to better integrate local renewable energy, and supporting National Grid goals in terms of modernization, storage, and renewables. Then, of course, there’s the benefit of job growth and retention. 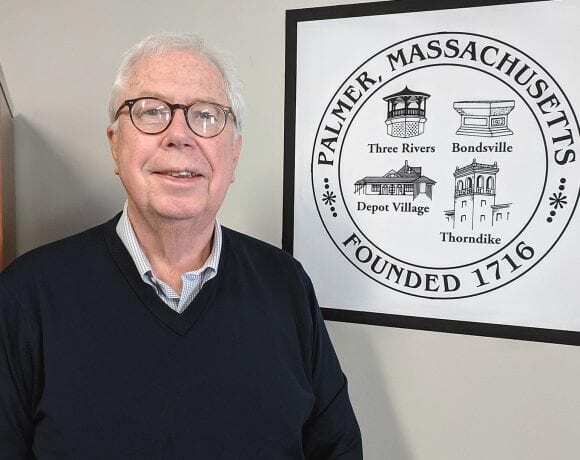 It’s just one way in which Palmer is generating energy from an economic-development standpoint, and raising its profile as a destination and a connecting point to the rest of Central Mass. — a role it will continue to embrace regardless of the eventual fate of any east-west rail line. Jennifer Tabakin says initiatives like high-speed broadband, environmental sustainability, and the arts all contribute to quality of life and help attract young people to town. Jennifer Tabakin is a believer in using public investment to spur private investment. 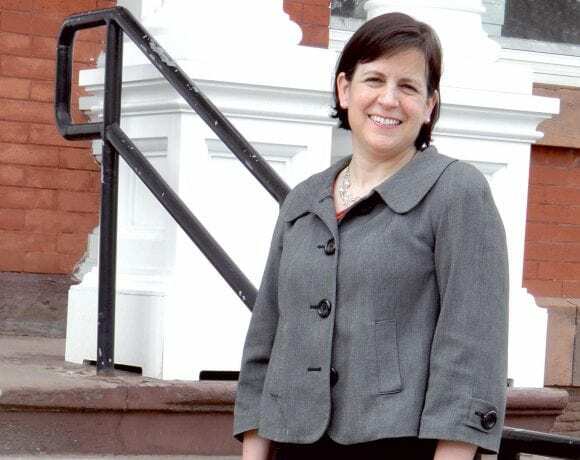 After six years as Great Barrington’s town manager — she’s stepping down in June — she has seen plenty of evidence to back up that philosophy. Projects like Powerhouse Square, a mixed-use development on Bridge Street. “It’s literally steps from Main Street — exactly where new development should be,” said Town Planner Chris Rembold. On the ground floor is Berkshire Co-op Market, a grocery store that’s moving from a different location and doubling its size. The development also includes space for smaller retail outlets and 20 new residential apartments on the second and third levels. In fact, that’s just a sample of a recent housing boom in town; in the past year alone, 228 new housing units were either built or permitted. “We’ve been able to get far more downtown than I ever expected, ranging from affordable units to downtown condos. That meets the needs people have for a more walkable lifestyle” — one where residences are in close proximity to shopping, restaurants, and cultural amenities, Tabakin said. One example of the latter is Saint James Place, which opened in 2017 as a home to small and mid-sized Berkshire County arts groups in need of performance, rehearsal, and office space. Created out of the historic St. James Episcopal Church on Main Street, several of its office spaces for lease have been filled by arts-related groups such the Berkshire Playwrights Lab, Flying Cloud, and the Berkshire Opera. Saint James Place is now a thriving cultural venue, and we’re thrilled to have them here,” Tabakin said. In October, in recognition of its vibrant arts life, the downtown was designated one of the state’s cultural districts by the Massachusetts Cultural Council. The cultural-district designation, he added, is a recognition of the vitality of the arts and culture in downtown Great Barrington, but it also serves a practical purpose. Cultural districts can access a stream of services including tax credits, economic incentives, planning assistance, grants, historic-preservation help, signs, and tourism promotion. Among the town’s plans is a shared cultural events calendar, which will help the various venues better coordinate their booking schedules, making it easier for visitors to know what’s happening when they spend a weekend or more here. Another recent boon for downtown is the installation of fiber service. “It’s a strategy to make sure our downtown has the highest-speed broadband and can be competitive with our neighbors in the area, so people can locate here and take advantage of that higher speed,” Tabakin said. “We have a private company covering all the development cost and infrastructure cost to bring fiber to downtown, and we’ll eventually start moving out to the rest of the community,” said Ed Abrahams, vice chair of the Select Board. Meanwhile, the town continues to make environmental sustainability common practice, moving all municipal, school, and community buildings to green energy sources and reducing use of single-use plastic products. “For the past four years, we’ve supported eight large solar projects with a combined value of $16 million,” Tabakin added, while many town residents have gone solar as well. 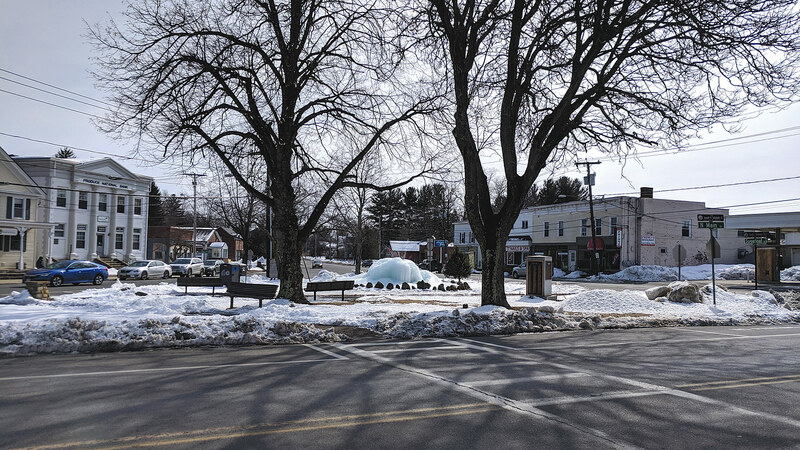 All these factors — culture, high-speed broadband, sustainability — aim to position Great Barrington as a thoroughly modern community, even as it retains much of its quintessential old New England character, thus attracting more young families. Like other towns in rural Berkshire and Franklin counties, Great Barrington has seen the average age of its residents rise in recent years; the community has always been a popular spot for retirees, and there are a number of New Yorkers with summer homes in town. But by bolstering ingredients like attractive (and affordable) housing, a vibrant downtown, a burgeoning cultural community, and outdoor activities (Ski Butternut is a prominent attraction), Great Barrington’s leaders are looking clearly at the future, which means attracting young people and especially young families. Of course, those families will need to find find jobs here, and Great Barrington boasts strengths in a number of sectors, including education (Simons Rock of Bard College is located in town), healthcare (Fairview Hospital), technology (perhaps a dozen IT companies call the town home), the arts and tourism, the nonprofit community, and restaurants (the town is home to around 80 of them). 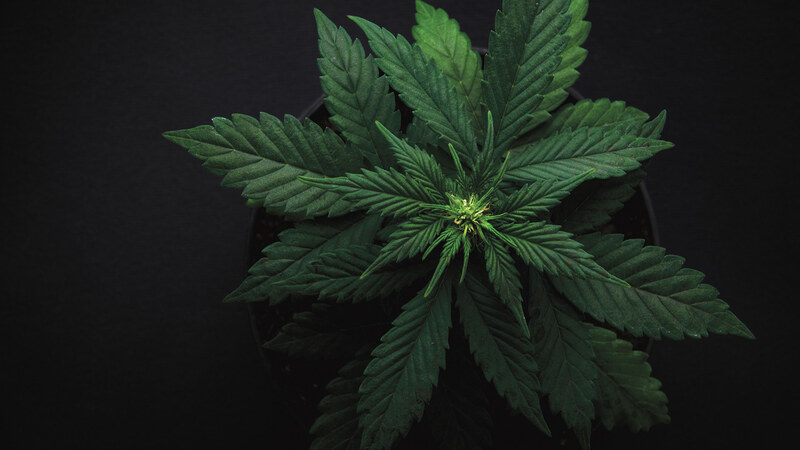 One area of the economy that’s growing — literally — is the cannabis sector, which is something BusinessWest has mentioned in almost every Community Spotlight over the past six months. Great Barrington is no exception, with Theory Wellness opening the first retail marijuana store in Berkshire County in January, with others to follow. In the first month, the shop netted $2 million in sales and $90,000 in taxes paid to the town. As Tabakin looks back on her six years in office, she’s especially gratified at a Town Hall full of energetic and committed people, and a lot of new faces — during her tenure, 26 people were either promoted or started a career there. Having a well-run town, Tabakin said, speaks to a commitment to quality of life, one that’s evident in Great Barrington’s vibrant retail district, cultural attractions, quality schools, and more, she said. After more than a decade in nursing, Dorothy Ostrowski says she’s never been happier than she is at the helm of a venerable construction firm. Dorothy Ostrowski has never settled for having just one ball in the air. Like the time, a few years ago, when she was building a house with her husband, Mike, while pregnant with their second child, completing a dual master’s degree, and starting a new nursing job. 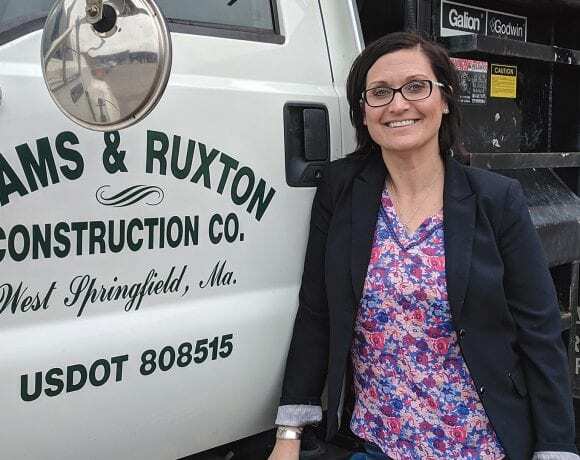 She had to ask all those questions, plus a few more, when the opportunity arose last April to purchase Adams & Ruxton Construction, a 110-year-old West Springfield company, from its then-owner, family friend Andy Touchette. With Mike busy running his own company, Amp Electric, it was a decision that rested fully with Dorothy, who had worked in nursing for well over a decade but was intrigued by putting the MBA she earned in 2015 to good use. Once the deal and a transition plan was in place, Dorothy spent the next six months working with Touchette, unpaid, learning every aspect of the business, from contracts and estimating to equipment and planning — “every nut and bolt,” as she put it. Mike Ostrowski knew enough about his friend’s company — and his wife’s skillset — to know this would be a good fit. 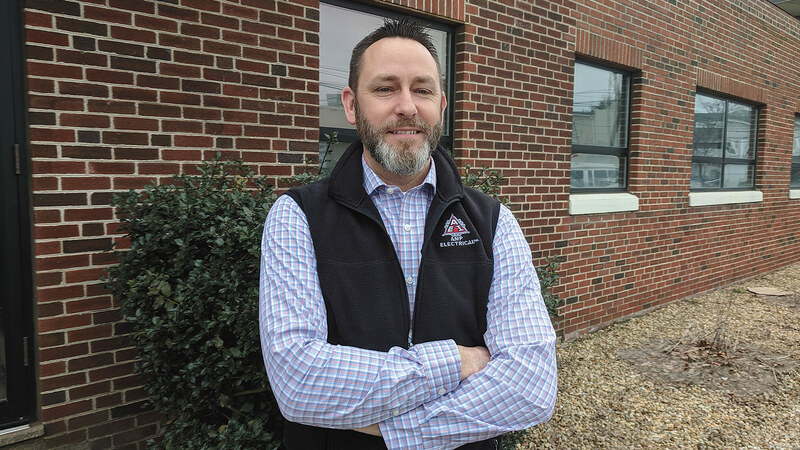 With a diverse range of work, from excavation to commercial buildings, the firm’s recent clients include Chicopee Electric Light, Bank of America, the Diocese of Springfield, Callaway, and Coldwell Banker, among others. The company is also currently being evaluated for woman-owned and veteran-owned certifications, which would open up more doors, especially in the realm of state and federal contracts. It’s a new adventure for sure, one far different than her career stops to this point would have predicted. For this issue’s focus on construction and architecture, BusinessWest talked with Ostrowski about the many twists in her path, from the roads outside Afghanistan’s capital to emergency departments at area hospitals, to her new task, building a new career — both literally and figuratively. Growing up, Ostrowski’s plans were much different than her eventual path into nursing. Specifically, she wanted to be a police officer, eventually studying criminal justice at Holyoke Community College. Before that, though, at age 17, she signed up with the Army National Guard. A friend had recently joined the service, so she spoke with the same recruiter, who explained the opportunities available in a military police role. “It was one of those turning points in life, like, ‘what am I going to do with the rest of my life?’” she recalled. After attending boot camp the summer after her junior year, she left for Fort McClellan in Alabama the following year, after her high-school graduation, for what would become a seven-year stint, with stops in Italy, Honduras, Panama, and — most memorably — a nine-month tour in Afghanistan, two years after the 2001 U.S. invasion. “We did a lot of security stuff in Kabul; we were there to support the rebuilding of the Afghan national army,” she explained. Partway through, she became a chase driver for Gen. Karl Eikenberry, tasked with ‘defensive driving’ to protect the general and others from gunfire and IEDs. But her future wouldn’t be in police work — civilian or military. Instead, while taking classes at HCC, she crossed paths with some people who got her interested in medical assisting. After earning her certification in that field and working for a podiatrist, she landed in the Emergency Department of Baystate Medical Center. It was an eye-opening experience. She performed well in that environment, and colleagues began suggesting she attend nursing school, which she did, earning an associate degree in nursing at Springfield Technical Community College with help from G.I. Bill benefits, and soon found herself in a new-graduate residency at Baystate. Ostrowski eventually returned to Western Mass., where she dated, then married Mike, and earned her bachelor’s degree in nursing at Elms College. She took ER jobs at Baystate and Mercy Medical Center, but soon decided she wanted to shift into a less hectic type of job that allowed her more time with family. 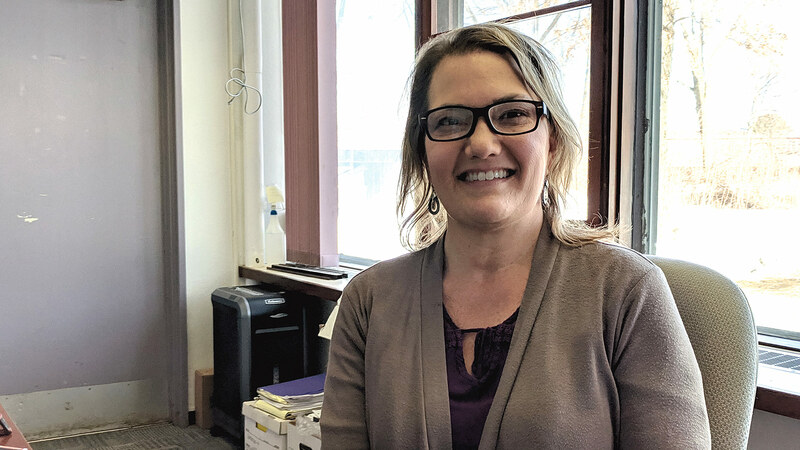 So she accepted a job with Sound Physicians, a medical process-improvement company, and went back to Elms for a dual master’s degree in nursing and business administration. She found that by buying Adams & Ruxton. 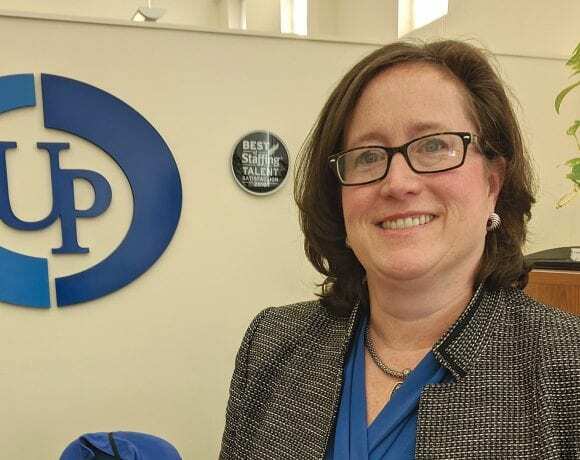 After Sound Physicians, she worked at St. Francis Medical Center in Hartford as a process-improvement nurse, and had moved to a role as nurse manager at Connecticut Children’s Hospital when the opportunity arose to buy the construction company. Something had to give. And her husband could see it, too. The transition period was important, Dorothy said. 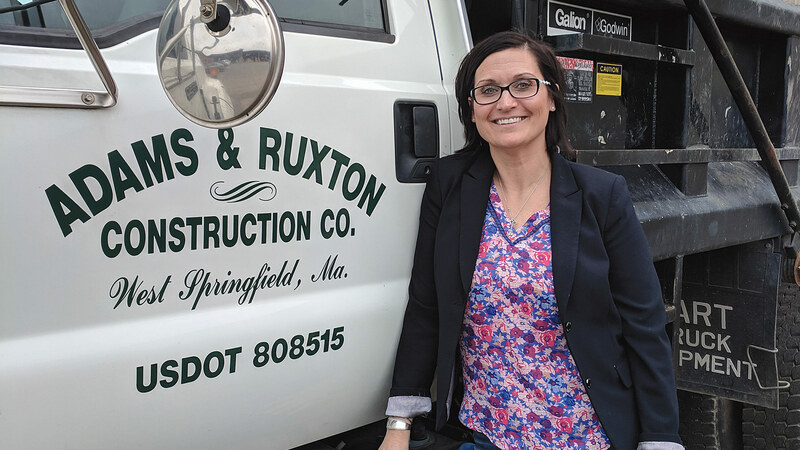 She said the most gratifying aspect of her career move was the fact that Adams & Ruxton’s employees, many of whom have been there more than 20 years, stayed on board when she arrived — and have been a rich resource. Mike agreed. “Knowing where to get the answers and knowing to tell someone you don’t know the answer — you get more respect from that than from anything,” he said. It’s a peace she said she began to forge during the period she worked directly with Touchette. Ostrowski thinks back to other times of transition during her life — like when she missed her graduation from Elms in 2010 because she was delivering her first child — and sees one whirlwind after another, but that suits her just fine. 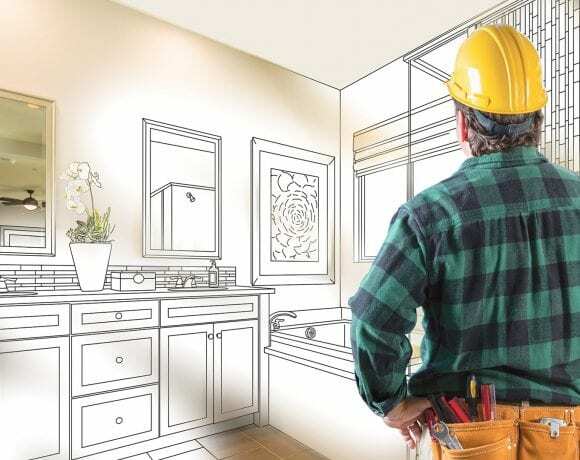 With the economy chugging along, home-improvement businesses report solid activity over the past few years, with the prospect of more to come. Locally, perhaps partly because of a relatively mild December and January, companies logged more customer calls during a time of year when homeowners traditionally want to hibernate. Now, on the cusp of spring, they’re ready to hit the ground running. If there’s one thing R.J. Chapdelaine is grateful for, it’s changing tastes in home design. 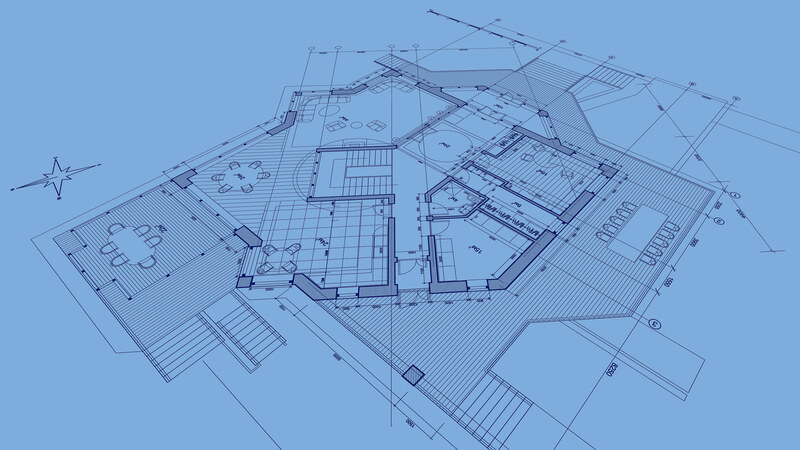 Take, for example, the current trend — one that has been building over the past decade or two — of open floor plans. “People seem to want to open up the kitchen to family room space, open the kitchen to dining room, and create that open floor plan. That, I think, is what we see the most, taking someone’s compartmentalized house and opening it up,” said Chapdelaine, owner of Joseph Chapdelaine & Sons in East Longmeadow. Whatever the trends and the homeowner’s personal tastes, the home-improvement industry has been riding a wave for some time now. According to the Home Improvement Research Institute (HIRI), the market for home-improvement products and materials grew by 6.3% in 2018 after a 7.3% jump in 2017. Breaking it down further, the professional market increased by 9.9% last year, while the consumer market saw a sales increase of 4.7%. That trend is expected to slow slightly over the next three years, but still increase by an annual average of 4.2% through 2022. 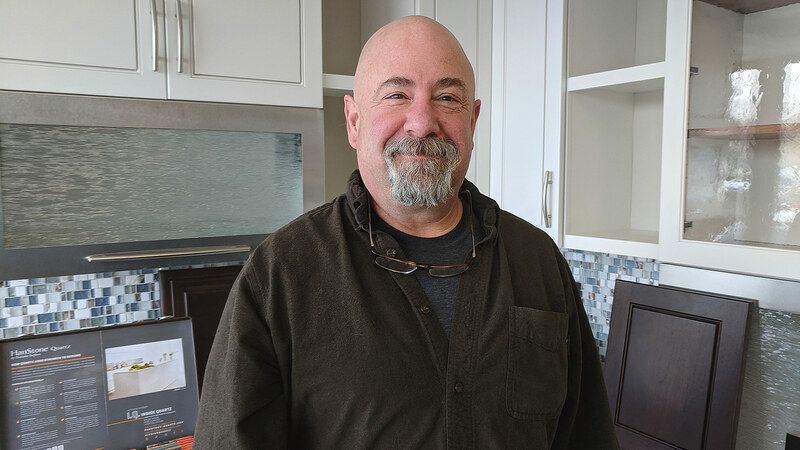 Frank Nataloni, co-owner of Kitchens & Baths by Curio in Springfield, has also seen a busier-than-usual winter, perhaps because the snowfall has not been too onerous. According to the Project and Sentiment Tracking Survey conducted by HIRI toward the end of 2018, which queries adults across the U.S. about their planned home-improvement projects, outdoor living spaces will feature the most activity in the next three months. More than one-quarter of homeowners surveyed indicated they will take on lawn and garden and/or landscaping projects during this time. R.J. Chapdelaine says the region’s older housing stock and demographic changes have contributed to a strong remodeling business in recent years. 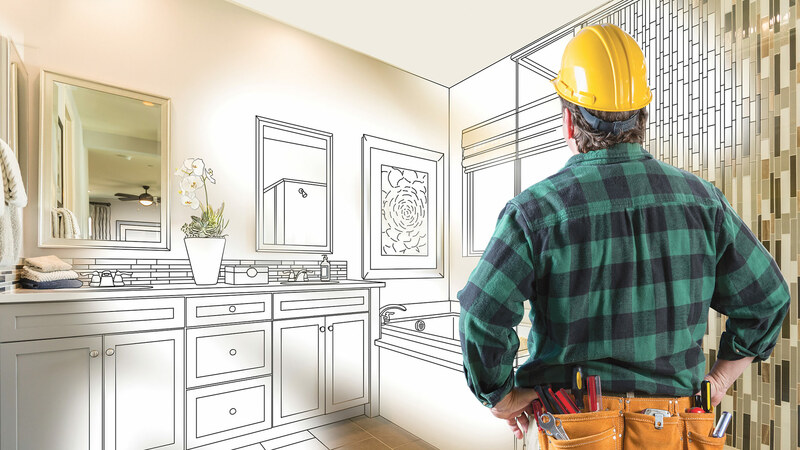 Taking all types of projects into consideration, inside and out, the Northeast and South lead the way, with about two-thirds of homeowners in both regions saying they plan home-improvement projects this spring. 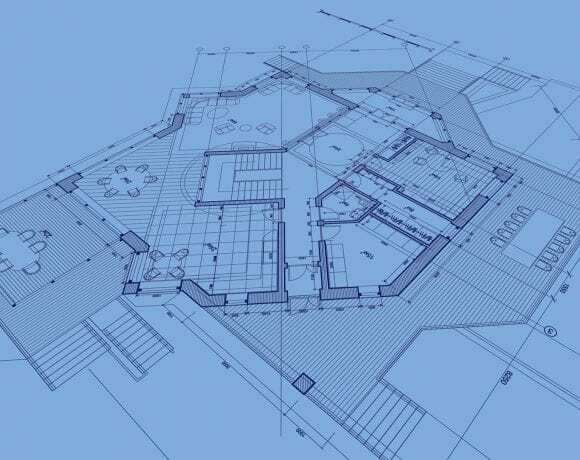 Meanwhile, whether homeowners shoulder the work themselves is relatively dependent on the project type. On average, a little more than half of all projects are of the DIY variety — and of those, many involve outdoor living spaces, with 82.6% of homeowners tackling landscaping projects. • More than one-third of homeowners who completed a home-improvement project in the past year regret not spending more on the project. • The rental housing market is on the rise. A wave of growth has increased the number and share of rental households in the U.S., especially higher-end rentals in urban areas. This reality could lead to greater interest in portable and free-standing home-improvement products tenants can take with them when they move, as opposed to permanent fixtures. • With home wellness on the rise, the lighting industry has been coming up with intriguing options. A technology known as circadian rhythm lighting is one rising trend, producing indoor illumination that more closely matches natural light in its warmth and, paired with home automation, can shift through the day with the sun to ease the impact of artificial light on the human body. • Finally, remodeling activity isn’t slowing down anytime soon, due in part to an aging housing stock. With home prices increasing and new construction harder to find in some areas of the country, people are staying put and remodeling. 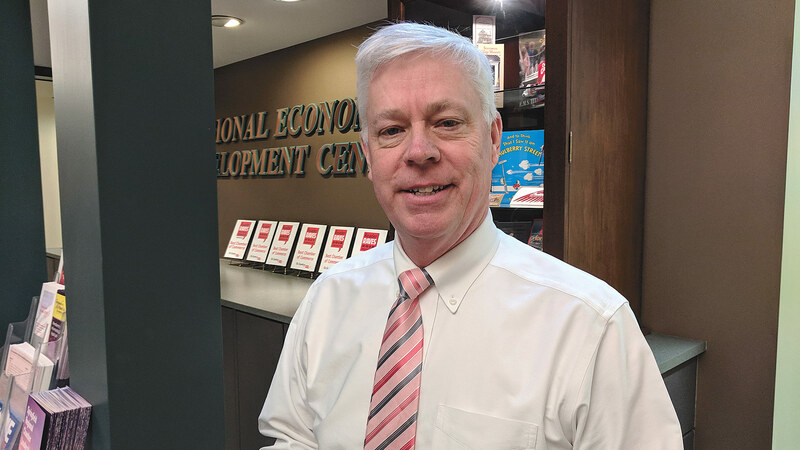 “With the existing house stock averaging 38 years old, much of the inventory is in need of updating,” Mark Boud, senior vice president and chief economist at Hanley Wood/Metrostudy, told the conference. That aging stock is an especially relevant reality in Western Mass., but so is another trend boosting the remodeling market: an increasing desire among Baby Boomers to age in place. 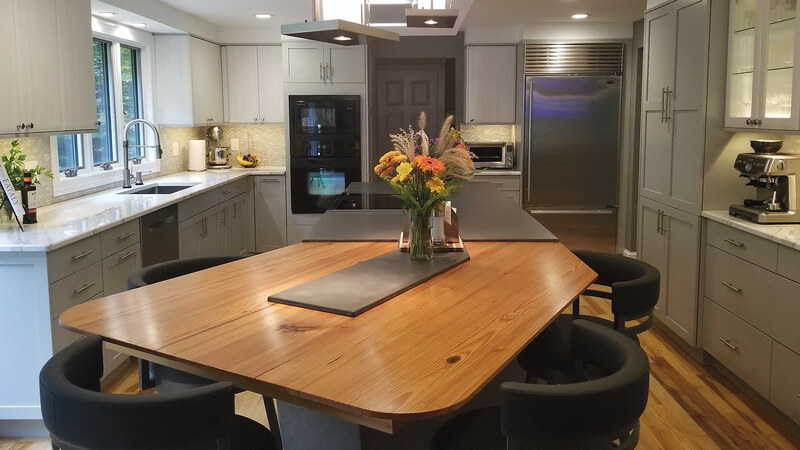 This recent remodeling project by Kitchens by Curio reflects some current trends in kitchens, particularly its color palette dominated by white and grey. In some cases, that means installing mobility and safety equipment, but in others, it means building in-law suites, or even moving to — by either building or remodeling — a smaller house. The most important trend, of course, is that the home-improvement business as a whole remains strong. He expects spring to bring its usual rush of customer inquiries as the weather continues to improve, but said people looking to get into the queue for the spring should really be calling in February and March. Nataloni agrees, and says he appreciates the fact that, with the economy performing fairly well, homeowners are investing more money in their living space, whether they plan to stay there for a long time or improve the house’s dated look in preparation to sell it. In the insurance world, an umbrella policy is exactly what it sounds like, sitting atop home, auto, and business insurance coverage and providing excess protection against liability risks. What is less clear, area insurance experts say, is why more people don’t avail themselves of this relatively inexpensive vehicle. After all, life’s storms can strike at any time, and when they do, no one wants to be totally exposed. Even the best intentions can’t always fend off an expensive lawsuit, said John Dowd, president and CEO of the Dowd Agencies in Holyoke. Take a field trip, for example. Which could wind up being a trickier situation than simply loading that child into one’s own car and crashing it — because the driver’s auto-insurance policy covers bodily injury. But what about situations like that field trip — what policy covers that? An umbrella policy — sometimes referred to as ‘family insurance,’ he noted — essentially sits atop existing auto and homeowners policies to deliver an additional layer of protection, especially against catastrophic liability loss. “I would like to see anybody who has any net worth — say, more than $100,000, which would include most homeowners these days — to have a personal umbrella,” said Mark Lussier, who co-owns Lussier Insurance in West Springfield. 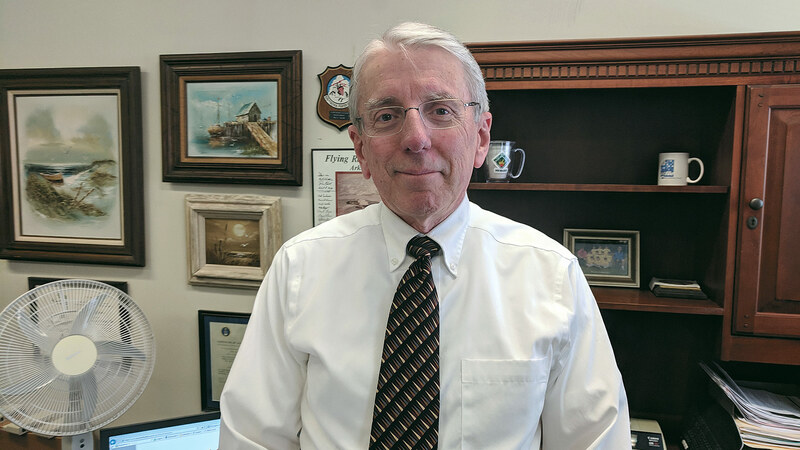 Dowd noted that the coverage from a personal umbrella policy is wide-reaching, providing protection for scenarios not covered by a typical home or auto policy. For instance, if a family member rents a snowmobile on vacation and is involved in an accident, the umbrella policy may help pay for the cost of repairs and medical bills of the injured parties. 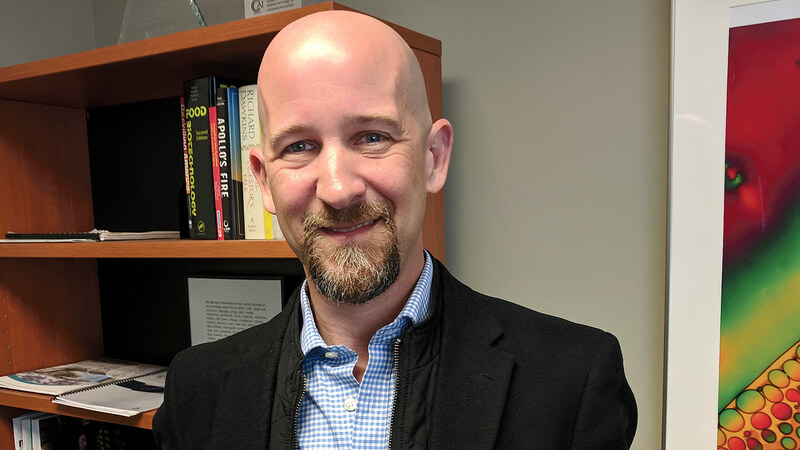 Mark Lussier says the inexpensive cost of a personal umbrella policy, coupled with the many scenarios it covers, present a strong argument for buying one. In addition, the umbrella is worldwide coverage. “So you can be vacationing in Europe, and if someone is injured because of something you’re responsible for, your umbrella is going to respond,” Lussier said. 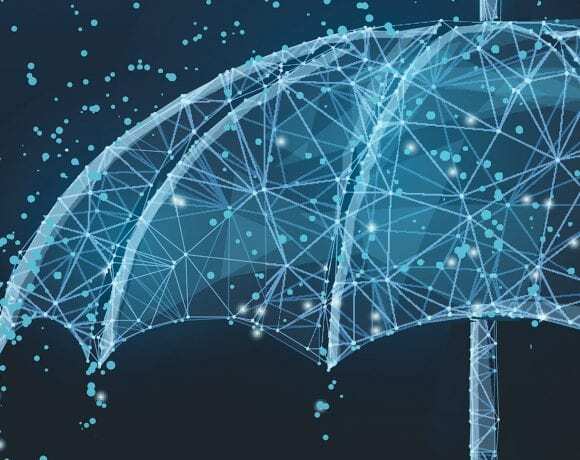 Bill Trudeau, president of the Insurance Center of New England in Agawam, said he draws a simple diagram to explain the umbrella concept to customers, with policies like home and auto represented by rectangles, and the umbrella hovering over all of them. While some may ask why not just increase coverage on existing home and auto policies, he pointed to the broad nature of umbrella protection, and, again, its cost. In Massachusetts, Dowd explained, most umbrella policies provide coverage for the policy holder and their immediate family members living in the same household, with some exceptions. And he listed a few scenarios where that wide net may come in handy. Then there’s something called ‘personal-injury coverage,’ Lussier said, which is different from bodily injury, instead referring to libel, slander, false arrest, and defamation of character. And this has become a minefield in the age of social media. Lussier agreed that this is a significant issue in an era when everyone is quick with a camera, and when images, videos, and statements online can live forever. 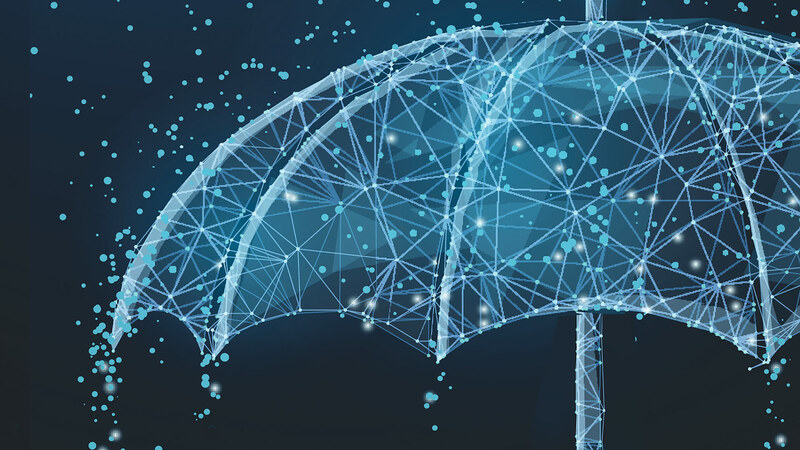 That’s where a business umbrella comes in, working in much the same way a personal umbrella does, but covering liability risks related to a business. Bill Trudeau says growing businesses should continually reassess what level of coverage they need from an umbrella policy. The nature of the business would impact the risk exposure and, hence, the level of coverage needed, he noted. While a $1 million umbrella might be fine for a storefront shoe store or florist, a business owner with a fleet of heavy trucks would likely need more. Fame is a factor, too, Lussier said — and often results in higher rates per million of coverage, because famous people are seen as bigger targets for lawsuits. In addition, the level of coverage should reflect not only one’s net worth, but future earning potential as well. A doctor who just graduated from medical school and plans a career in brain surgery might have little more than debt to show right now, but a lawsuit could put significant future earnings at risk. In the end, Trudeau said, umbrella coverage can bring peace of mind in myriad scenarios. Diana Schindler says it’s key for Deerfield to balance the town’s rural character with needed economic growth. 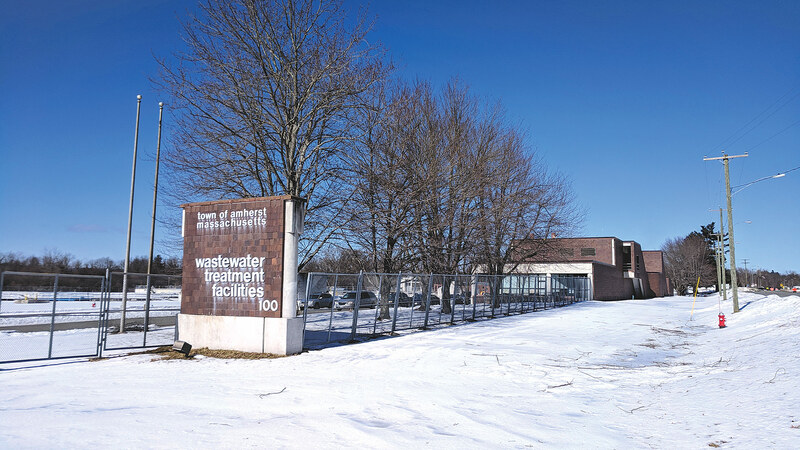 Deerfield boasts numerous draws for businesses looking to relocate, Diana Schindler says, from its reasonable property-tax rate to its proximity to Interstate 91, Route 116, and Routes 5 and 10. But there’s also been some pushback against some of those businesses, which reared its head when residents recently spoke out against a proposed Dollar General store in town. The Planning Board listened and turned down the project, said Schindler, Deerfield’s interim town administrator. “There’s been a feeling in the community that they want that at arm’s length — that big-box retail development, drive-thrus, things they don’t feel are part of the culture of old Deerfield. It’s meaningful to them,” Schindler told BusinessWest. 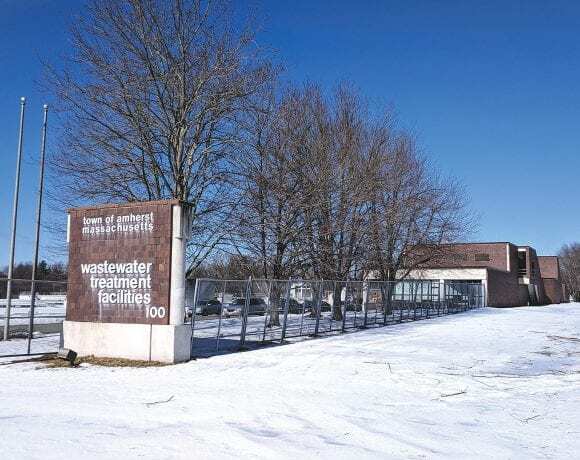 For instance, the town is looking at a $1 million cost to replace a tank at the South Deerfield Wastewater Treatment Plant, which is only the tip of the iceberg when it comes to needed work at the facility over the next decade or two. Then there are plans to expand the Tilton Library and develop a shared senior center with surrounding communities. She’s one of many in Deerfield who believe economic development — in whatever form residents may want — is critical to the future of a town known for its tourist draws, including Yankee Candle’s flagship store, Mount Sugarloaf, Historic Deerfield, and Magic Wings, but needs to diversify and broaden its commercial portfolio. 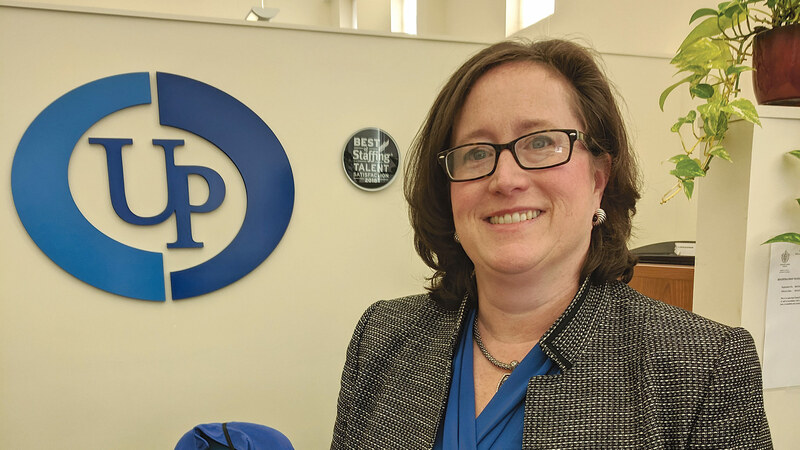 A veteran of the Franklin Regional Council of Governments and the Hampshire Council of Governments, Schindler has some regional government experience, and she believes there’s value in taking a regional view of economic development. But she’s more concerned with Deerfield’s residents, agencies, and organizations working together to forge a common vision for community development. 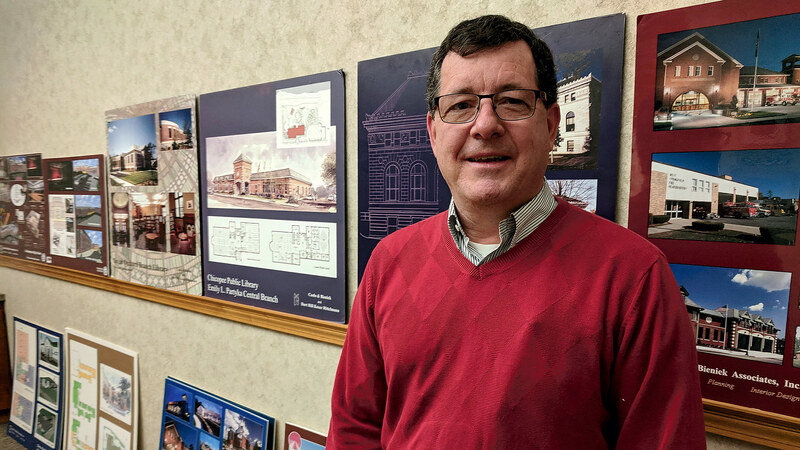 That celebration rolls around in 2023, which should be enough time, Schindler said, to see some real development progress in town, particularly in the Elm Street corridor, the main commercial area in South Deerfield. Town leaders know that to attract new businesses — in hospitality and other sectors as well — they need to make the downtown area more inviting and pedestrian-friendly, and they’re eyeing a host of potential improvements in the Elm Street center, which may include work on sidewalks, lights, and storefronts. For a year before taking on her current role last month — one she is interested in pursuing on a permanent basis — Schindler was a special projects consultant in town, and one of the big projects she embraced right away was Complete Streets, mostly geared toward the South Deerfield center. Town leaders see plenty of potential in the South Deerfield center corridor. The area is not particularly expansive, she pointed out, spanning just a few blocks, but in some ways, that presents a more enticing opportunity, by ensuring that development and improvement efforts are tightly focused. There’s some land-use complexity as well, as the Massachusetts Department of Transportation owns a small part of the corridor, and the state owns Conway Street, home to Town Hall. The downtown has seen some business change recently, with longtime restaurant Jerry’s Place closing last year, and a café called Leo’s Table setting up shop in the location, with proprietor Jennifer Howard specializing in made-from-scratch breakfast and lunch fare. The building itself — which is also home to Ciesluk’s Market, Giving Circle Thrift Shop, the Tavern, and a Subway sandwich location, as well as 19 apartments on the second floor, has new owners, Jason Kicza and Justin Killeen, who plan to touch up the property this spring. Cumberland Farms’ move from South Deerfield’s center to the main road — specifically, the corner of Elm Street and Routes 5 and 10 — may not have been as great for the downtown’s prospects. Largest Employers: Yankee Candle Co., Pelican Products Inc. These days, the corridor can be oddly empty at certain times of the day, she noted, but well-trafficked during morning and evening rush hours. The goal, she told BusinessWest, is to turn it into a pedestrian-friendly center at all hours, rather than a thruway. 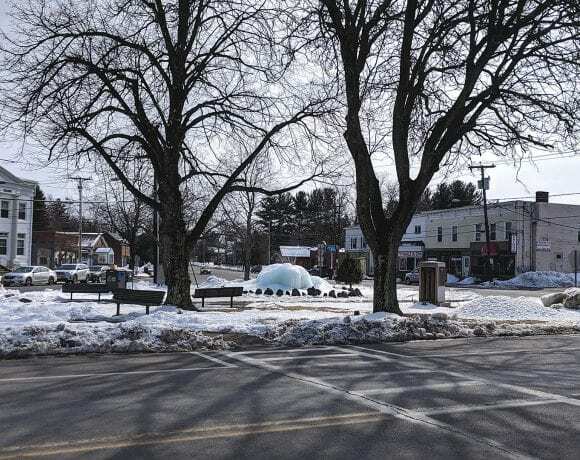 Like many area communities, Deerfield has embraced the burgeoning cannabis industry in Massachusetts, recently approving two site plans, one for a cultivation facility at Pioneer Gardens on Mill Village Road, and the other for a dispensary run by Harvest Inc. on State Road. “The culture has changed,” Schindler said, noting that, when communities were first exploring the economic possibilities of marijuana businesses, many Deerfield residents — most of them older — were staunchly opposed. But that opposition has died down to a large degree in many towns, to the point where communities might begin to locate such businesses in more central areas. Meanwhile, Schindler and other Deerfield leaders will continue to think outside the box — even if big boxes aren’t in the cards — by examining where pockets of land already devoted to commercial and industrial businesses might have some infill potential, and continue to take pressure off the residential tax base.